Most people that love the ocean dream about playing a more active role in education, research or conservation. Who wouldn’t want to get more involved in something that they are passionate about? To that end Dr. Marshall has always encouraged that people take a proactive approach to their travel or ocean hobbies. Demand from her supporters, combined with the need to fund her international research, has inspired Andrea to create ‘Ray of Hope Expeditions’. Each year the Queen of Mantas and other senior scientists from the Marine Megafauna Foundation embark on international expeditions to the world’s foremost manta ray aggregation sites to engage in field research and conservation. Explore new aggregation sites with us, encounter mantas in remote destinations, photo-document manta rays for upload to Manta Matcher, participate in research activities, investigate manta ray fisheries and receive lectures from world-class biologists as a part of your package. The goals of each of the expeditions are unique but every trip is tailored to engage participants while producing high quality science. 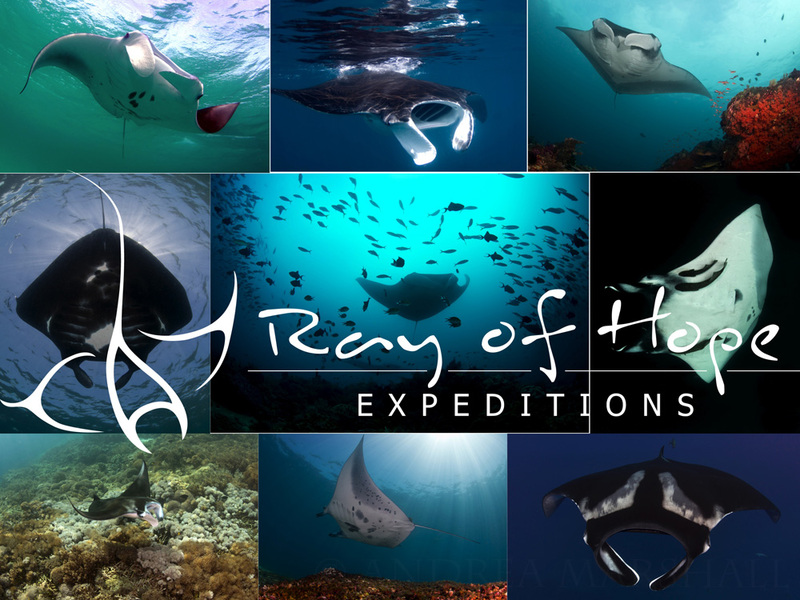 Join Andrea and the MMF Southeast Asia research team in Myanmar and Thailand on this exclusive once a year manta ray research expedition to the Mergui Archipelago and the Surin and Similan National Parks (March 4th – 12th 2019). Join Andrea in arguably one of the best aggregation sites for manta rays in Southeast Asia. Komodo is one of the most diverse and exciting places to visit on the planet. From pygmy seahorses to Komodo dragons this National Park has it all. Get ready to see Indonesian diving at its very best. Choose from two exciting expeditions to Komodo in July 2019 on the luxurious Arenui Boutique Liveaboard. Join Andrea, Janneman and Stephanie in the heart of the coral triangle for a special focused tour of all of the manta ray hotspots in the Bird’s Head Seascape. Travel with us aboard the luxurious Coralia Boutique Liveaboard from Misool to Wayag through the heart of the Dampier Strait and visit all of the most iconic dive sites in the region while learning all about our research and conservation efforts. Get involved as citizen scientists by uploading your manta sightings, hear fascinating research lectures and contribute to MMF’s program in Raja Ampat. Don’t miss out on this unique opportunity to tour one of the best marine protected areas in the world and dive with marine megafauna and spectacular marco life in this unspoiled island wilderness.